The 2011 Norway attacks were two sequential lone wolf terrorist attacks against the government, the civilian population and a Workers' Youth League (AUF)-run summer camp in Norway on 22 July 2011, claiming a total of 77 lives. It was the deadliest attack in Norway since World War II. The Norwegian Police arrested Anders Behring Breivik, a 32-year-old Norwegian right-wing extremist, on Utoya island, who admitted to having carried out the actions. 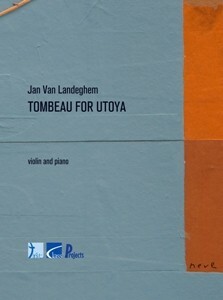 Composer Jan Van Landeghem wrote this work in July, which is wholeheartedly dedicated to all the victims of the attacks. 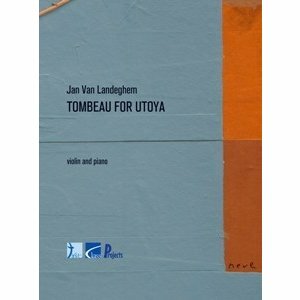 Musically the piece was conceived as a compression of the introduction material. The BACH motive (Bb A C B) appears regularly and succeeds in a quotation of the slow movement of the C minor violin sonata by Bach. Then the transcendental motion in the final page comes as a release. Violin bowings by Jenny Spanoghe.